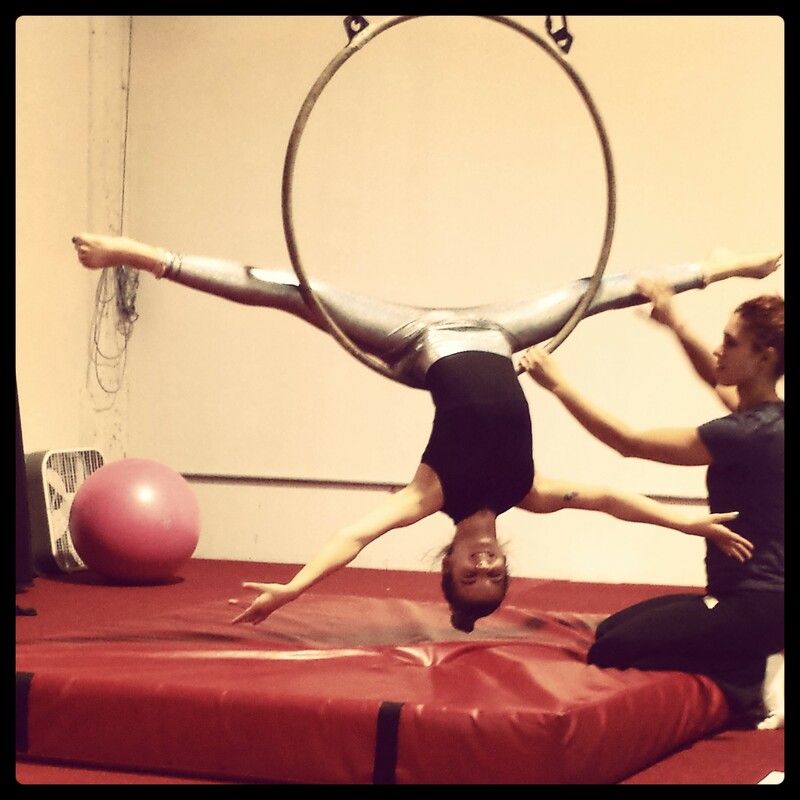 Every day there are more and more outlets for interested individuals to learn circus and aerial arts. 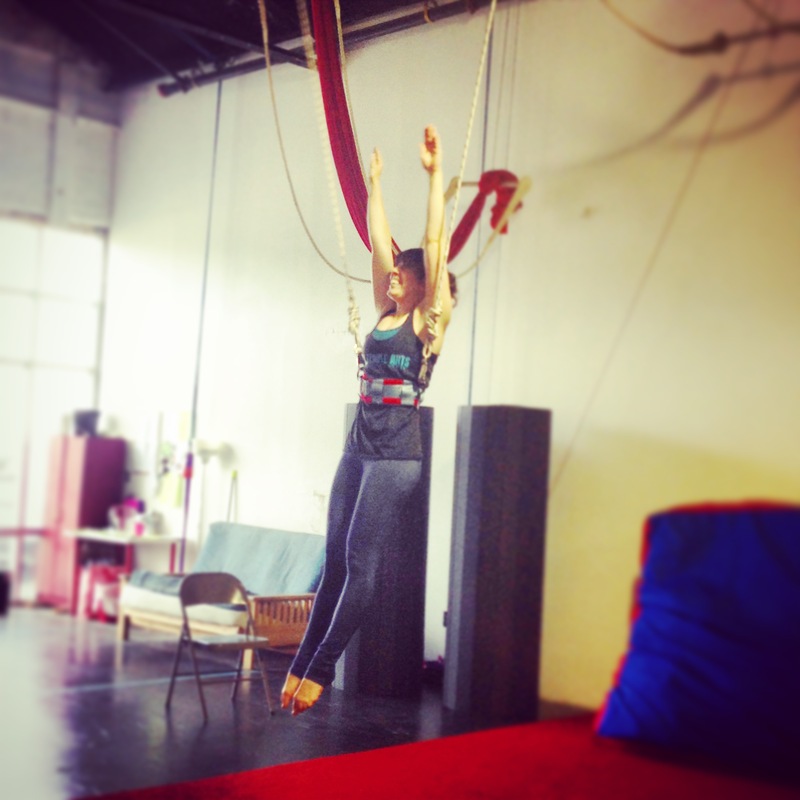 In addition to existing circus studios, many pole and dance studios now offer aerial arts. If you’re reading this page you’re probably interested in learning circus, so while we have you attention – why choose us? The answer is simple: Safety. At Air Temple our number one priority is the safety and well-being of our students. This means that we are fully insured for all the skills we teach in the studio. It means that our equipment is inspected regularly by our in house engineer and retired before it reaches the end of its life. It means that our entire useable studio space is covered with thick carpet bonded foam mats and that crash mats are used under all aerial apparatuses. It means that we have safety lines and a spotting belt for teaching tumbling, partner acrobatics, and dynamic aerial tricks. It means that skills are taught low to the ground and spotted before students take them in the air, and that we won’t teach you anything you’re not ready for. It means that we keep classes small, with a 1:6 student-teacher ratio or better. It means that our instructors have completed professional training in performance and teaching or have an equivalent background. We train new instructors in house through a process of mentorship, shadowing and class assisting. It means that our instructors are committed to continuously improving themselves as performers and coaches of the circus arts, and that we are committed to finding innovative and creative approaches to teaching. Thank you for reading, and hopefully we’ll see you in the air!